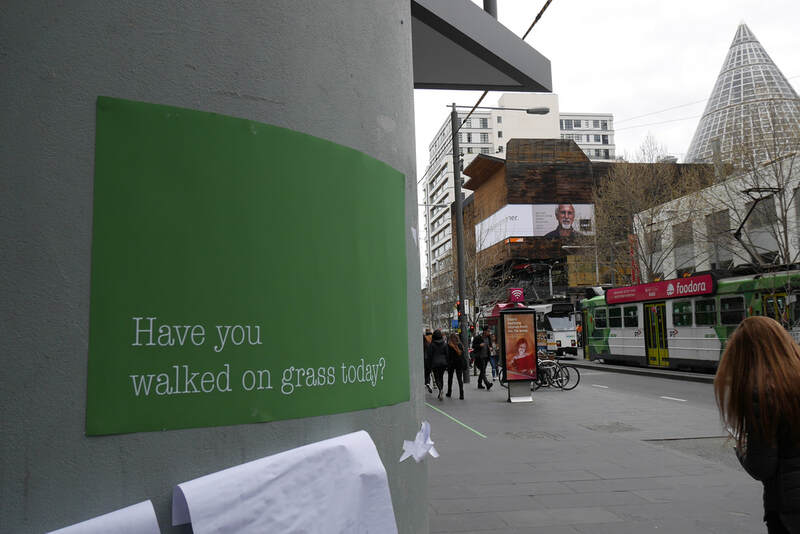 ​Three text works posing the questions: Have you walked on grass today? ; Can you name any plants along this street? ; Look up. What’s going on in the sky? The questions were printed on postcards and posters. 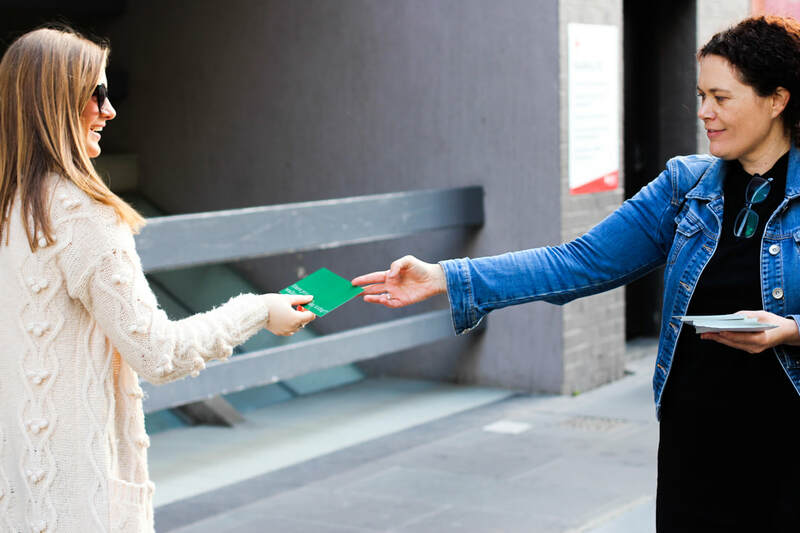 Postcards were left in local cafes, libraries and handed out in the street. The posters were placed in various locations around Melbourne’s CBD. The postcards were also tested in various locations in Singapore. The intention for these works was to use text as a method to directly propose questions and create opportunities for participants to think momentarily about their direct surroundings. Create a prompt to awaken a sensory awareness of our surroundings and to think momentarily about the living plants around the urban space.